Many centuries ago, in a kingdom in the foothills of the Himalayan mountains, a miraculous child was born to the king and queen. The young prince, Siddhartha, was raised in the greatest luxury, sheltered from all pain and ugliness. But one day Siddhartha left the palace and saw, for the first time, human suffering and death. He knew then that he must relinquish everything-- his family, his wealth, his position-- to discover the Truth of life and death. With only a few humble possessions, he began a remarkable spiritual journey that ended many years later under a bodhi tree. There he finally discovered the Truth and became an Enlightened One, a Buddha. The Buddha taught the Truth and the path to inner peace for forty-five years, attracting thousands of disciples. Today millions of people around the world live by his teachings. Demi's exquisite illustrations, inspired by the paintings and sculptures of several Asian cultures, are layered with meaning; each brush stroke has a special significance. 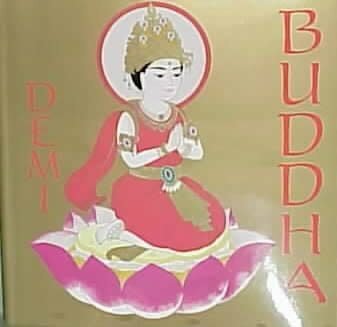 Demi, herself a Buddhist, brings her devotion to the teachings of the Buddha and her vast knowledge of his life to this comprehensive picture-book biography of an extraordinary spiritual leader.